Sailing steady in 5kn. 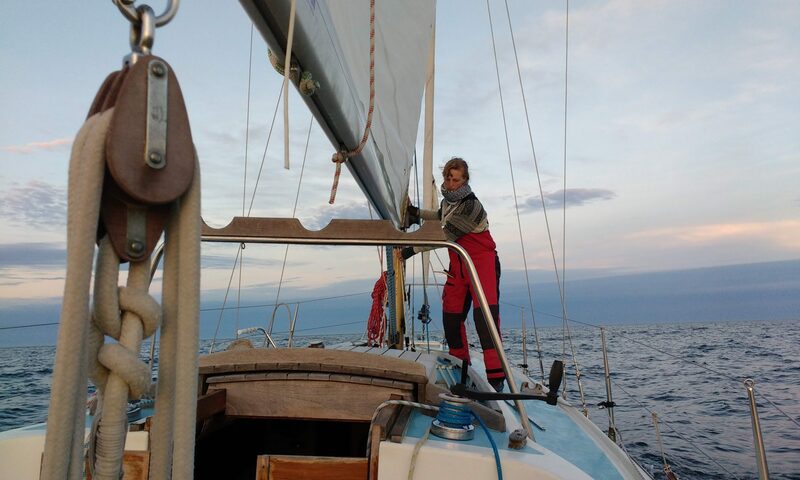 Under current conditions, Emma will reach las Palmas in about nine days! Always good with some nice updates. 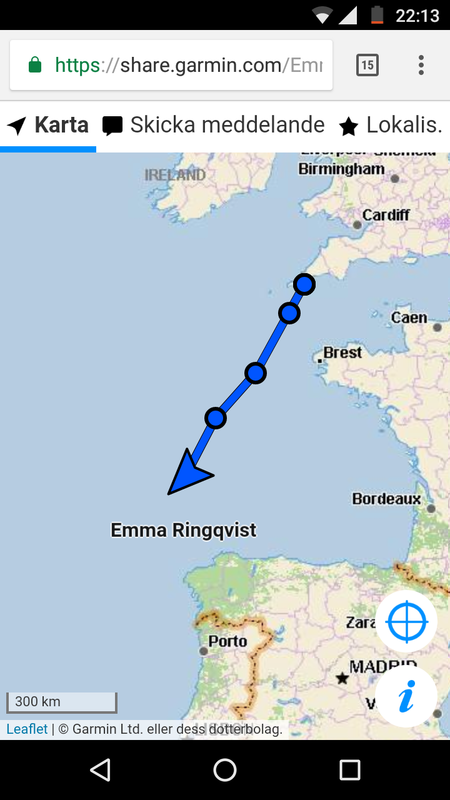 Does Emma use radio and/or satellite phone and/or GSM to keep in touch? Would be interesting to know how it is solved. Emma is using a Garmin Inreach for texting and updating her current position. The AIS system is designed to use VHF with surrounding boats as relays, but there seem to be technical issues.